Does your tribe love LEGO? 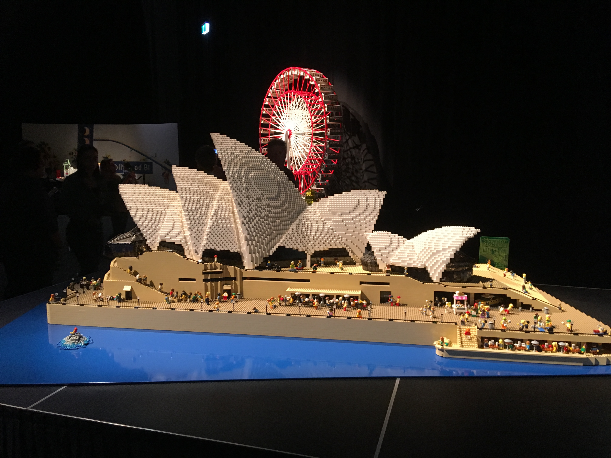 Then they will love Ryan McNaught’s LEGO Brickman Awesome exhibition on now in Perth! 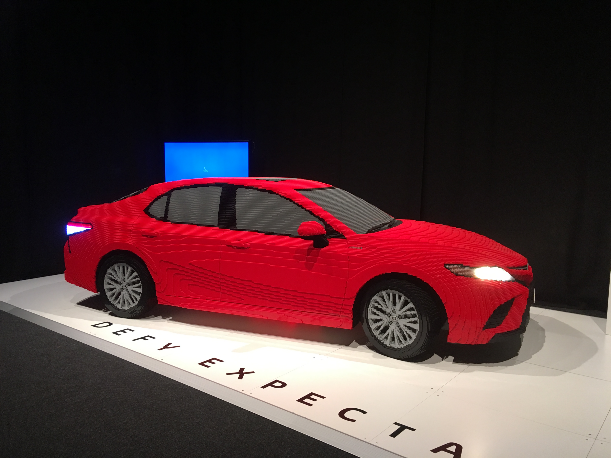 Our tribe was lucky enough to score tickets to the all-new fully interactive exhibition called LEGO Brickman Awesome at the Perth Convention and Exhibition Centre (PCEC). The PCEC is in the heart of Perth city, adjacent to the Swan River. The location provides quick and easy access to and from the Centre by car, train, bus, taxi and on foot! This is show for all ages, including the big kids/adults in the tribe. As a family we had never seen anything like this before and were in complete awe of Ryan McNaught’s and his teams talented creations. The exhibition is made up of 39 never-seen-before LEGO® models, totalling more than 2 million bricks and clocking up more than 5,000 hours of build-time! The first creation for my boys to notice was the Shrinkansen series, a high-speed train with open carriages and little LEGO people dining inside, the detail was phenomenal. 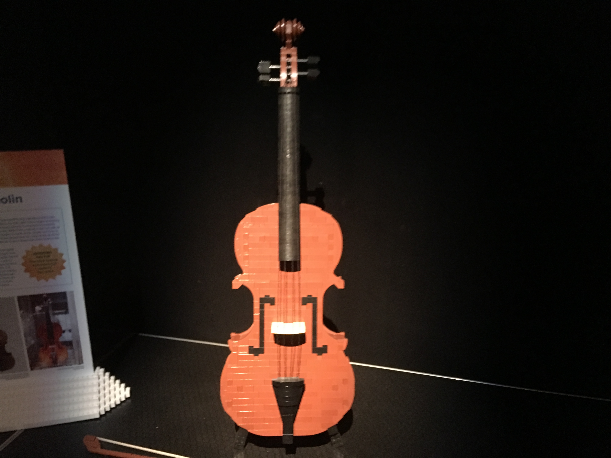 One of my favourites, the most famous and expensive violin in the world, the Stradivarius Violin, an absolute masterpiece. It looked so real it was hard to believe it was made of LEGO. We took dad to this exhibition as there is nothing like LEGO to bring out your inner child! Dad’s favourite structure was the DeLorean from Back to the Future, this brought up lots of childhood memories. Fun for all ages here! After all the hype of the royal wedding comes Windsor Castle, taking 102 hours of build time this certainly was a happily ever after! Such a beautiful piece in the collection. 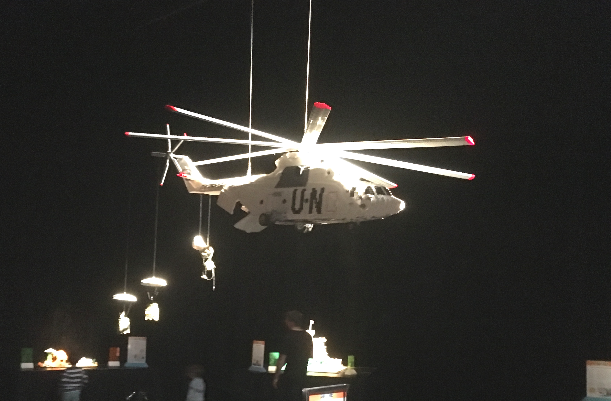 Not everything is at eye level, look above you and be amazed by the UN helicopter with little parachutes and right next door the only life-sized LEGO® Harley Davidson ever made. What makes this exhibition so special is the bricks at the bottom of some of the display to get those sticky fingers building. Both my boys sat and built their own little master pieces and got their creative juices flowing! 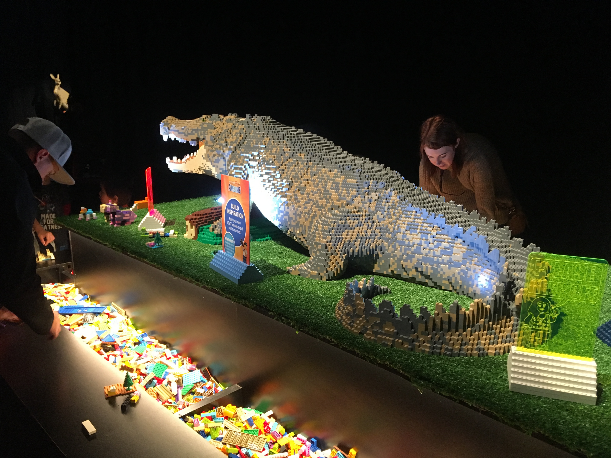 Just around the corner you will experience a full-sized LEGO® Australian saltwater crocodile, the coloured detail in the crocodile’s skin was unbelievable. 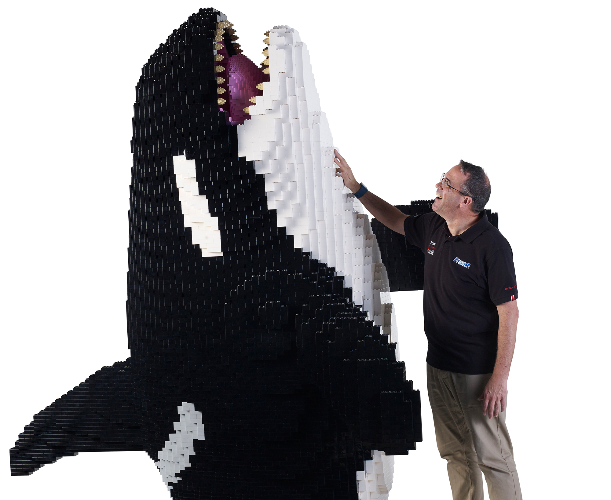 There was also a LEGO® Kangaroo, Koala, Penguins, Eagle and giant Orca Whale, no need to visit the zoo! We enjoyed contributing to the Longest LEGO snake. We were given a base plate in which we could build anything we wanted and added it to a giant wall. Our tribe used mum’s initials with a flower to keep it simple. Last, but not least we got to see the tallest LEGO® model in the Southern Hemisphere – a NASA SLS rocket standing at a whopping 7.5m tall and built from more than 450,000 bricks! This rocket has an in-built lighting system giving the effect that the rocket is blasting off into space. The sound effects were so real my boys were wondering why it didn’t take off! LEGO Brickman Awesome was wonderful for the imagination and so much fun for the whole family. The possibilities are endless when building and using LEGO. Both of my boys came home and spent the next 3 hours talking about what and how they could build something of their own, which was worth all the money in the world for the tickets! Alana reviews things to do that are fun for kids for Entertain My Tribe. She is also a mother of two beautiful boys. Passionate about property, she is also a real estate agent in Perth.